Our founding motto is Learn by Discovery®, and one of the key features of an education at The Grauer School is our renowned, worldwide Expeditionary Learning Programs. Our students learn at least as much outside the classroom as in it by spending at least two weeks each year "on expedition". Expeditionary Learning Programs allow students to “Learn By Doing.” Afield globally and in class, expeditionary learning facilitates active, discovery-based engagement with educational processes, which helps our students make personalized meaning and take ownership of both their academic and larger life journeys. Life is an expedition! All of our classes weave expeditionary learning programs into curricula because we integrate experiences in the natural world and across cultures. Expeditions offer valuable opportunities to practice the Grauer Philosophy of resourcefulness, compassion, and humanitarian service, as well as broaden students’ education. Arts, culture, geography, physical and social challenges, community service and student reflection are all parts of the expeditionary learning experience. Grauer teachers integrate the natural world and the arts across the curriculum to engage students. In and out of the classrooms, learning by expedition can include school exchanges, cultural immersion, hiking, camping, backpacking, diving, climbing, paddling, riding, communing with nature, volunteering, collecting data and folklore, and team-building. Finding a way to make a contribution to the area or to the travel group is the essence. Reading, lectures and activities precede the trip, while team meetings, gratitude circles, and other closure activities help students continue learning by expedition after they return home. 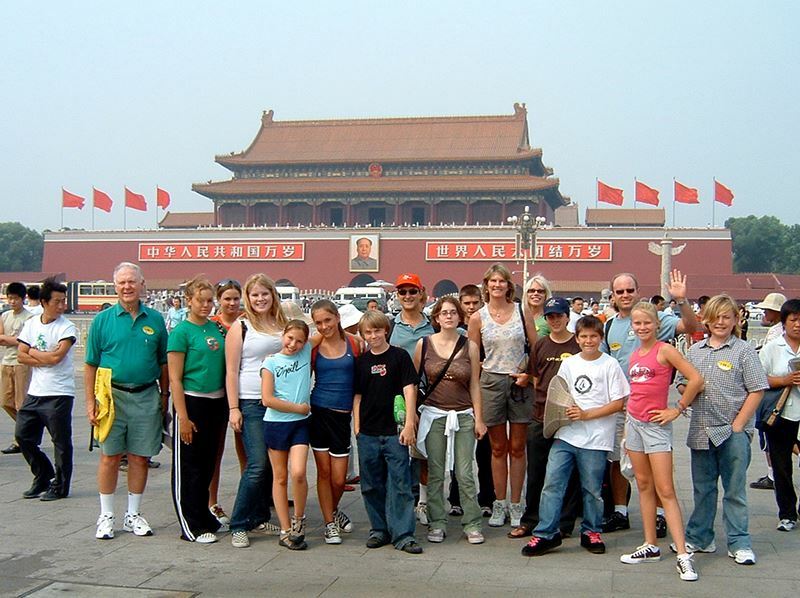 Grauer School students travel all over the United States and the world learning by expedition. One-week expeditions take place each fall and spring, and students choose from among several options. At least one middle school trip and one high school trip are included in tuition. Other options may require additional tuition. We also make learning by expedition possible for everyone by offering local options for students who are unable to travel long distances. “American Culture” is incredibly unique because every geographic location we visit has its own distinct subculture. Each subculture has its own distinguishing cuisines, beliefs, and in some cases, social structures. Educational expeditions in the United States help our students develop empathy, compassion and understanding for people who can at first appear different in some ways, but remain fundamentally the same as they are in so many other ways. Although our investment in Encinitas defines us as local and Grauer school participants alike, expeditions abroad help our students tangibly experience a world extending far beyond Southern California. We construct expeditionary learning curricula based on our understanding that expeditions abroad help facilitate a level of empathy, compassion and cross-cultural communication that has the power to heal our planet by demonstrating what binds us all is greater than what can tear us apart. Watch our video below of past expedition locations around the globe! We are committed to continuing expeditionary learning for school and community leaders to find their true selves inside, as well as their places in the world. We are proud to allow our students to begin respectfully, compassionately navigating our global community as passionate, confident, intrinsically-motivated social leaders who also happen to excel in academics. Ultimately staying true to the fundamental purpose of expeditionary learning for school and community leaders to develop themselves within, learning by expedition comes to mean something intrinsically personal and wholly unique for every Grauer student. As the worldwide authority in the small schools movement, we love being able to balance our tight-knit, personalized educational environment with helping our students experience the larger world outside the borders of our Encinitas campus. "As a parent of a Grauer Grad, we quickly realized that the education at The Grauer School was not a simple high school education in core and elective subjects, but a way for our kids to develop the confidence and the character to make them respected leaders in their future communities."